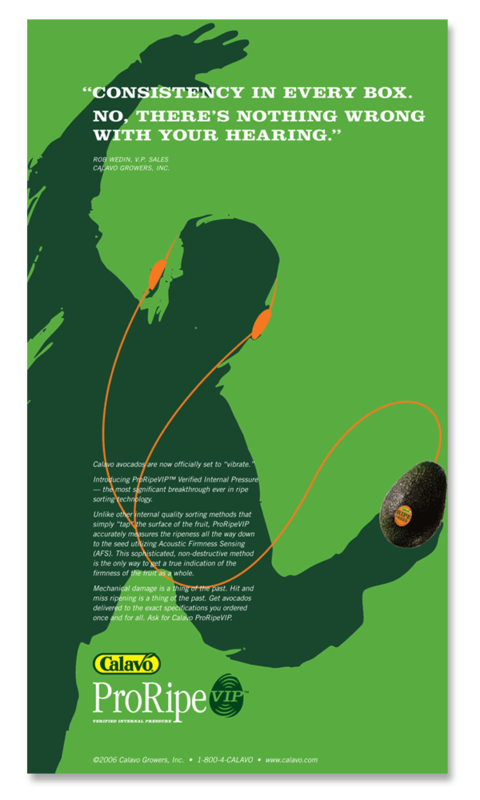 Creating a new brand for a revolutionary process in the avocado industry. 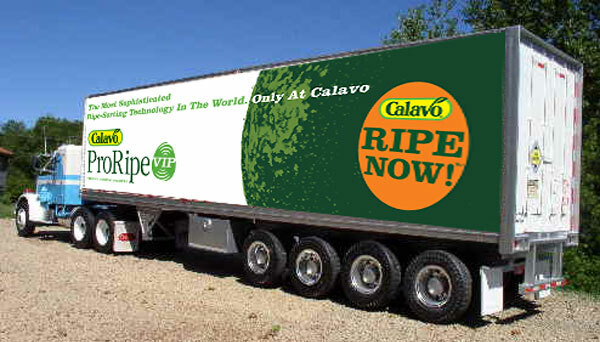 Our client Calavo had developed ProRipeVIP, a revolutionary new process for sorting the ripe level of avocados. 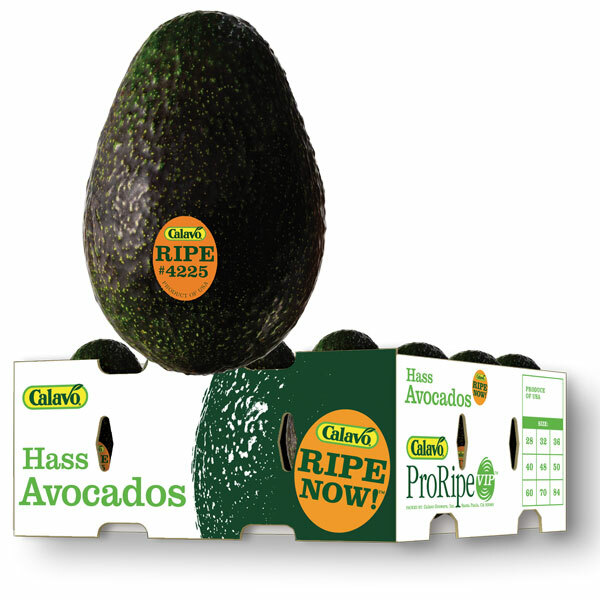 Ripe avocados were big sellers and being able to deliver ripe fruit consistently was a potentially big competitive advantage. Problem was, telling this story to the buyers was a difficult task. Every avocado company claims to sell perfectly ripe fruit. How would we cut through the confusion? We did a little digging to find out more about this revolutionary process. What we found out was that there was a key difference between the ProRipeVIP process and the competitors. 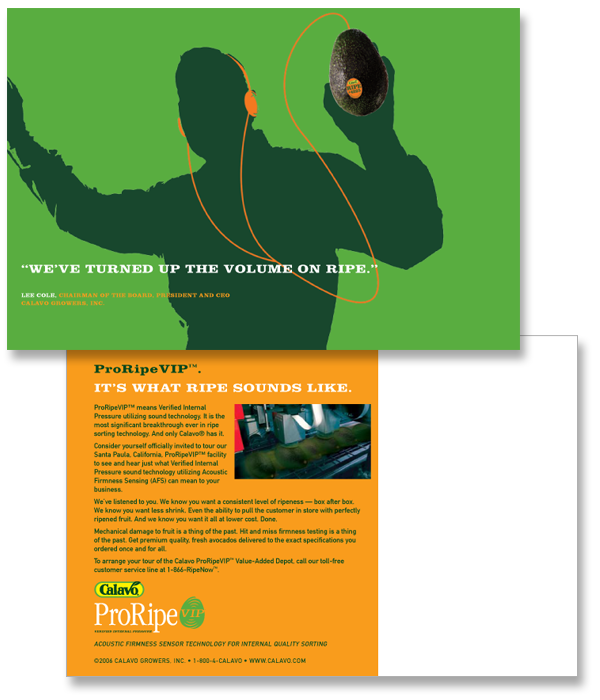 ProRipeVIP used a sonic technology – sound waves – to very accurately detect the stage of the ripening process. The competitors used a “tapping” process where each fruit was tapped by a probe to measure it’s ripeness. 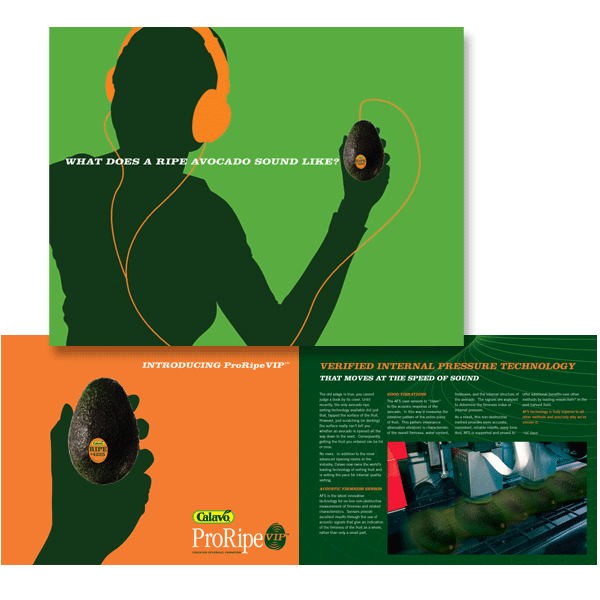 The essence of the technology was that the machine sent a sound wave into the avocado, the sound wave hit the seed, and then the sound wave returned to the sensor and was processed. In effect, the machine “listened” to the avocado! This gave us and idea that started out as a joke. 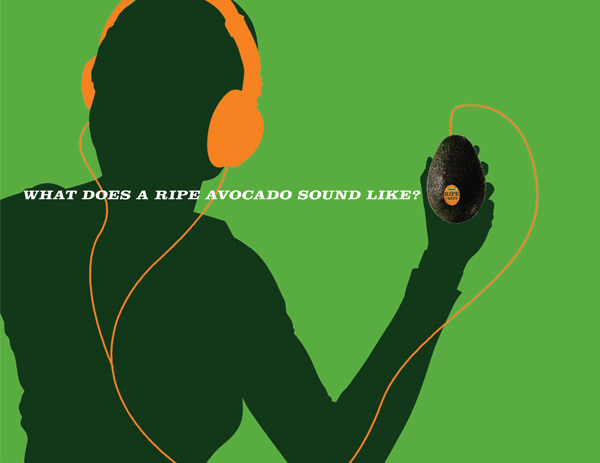 What if we borrowed the iconic Apple iPod advertising imagery but instead of an iPod, we used an avocado? This would create an arresting visual that would certainly catch attention in the stale advertising world of agricultural marketing, no? In the end, we never expected Calavo to go this direction. We had to show it though. It was too good to pass up. Surprisingly, Calavo agreed. The campaign became a huge hit. 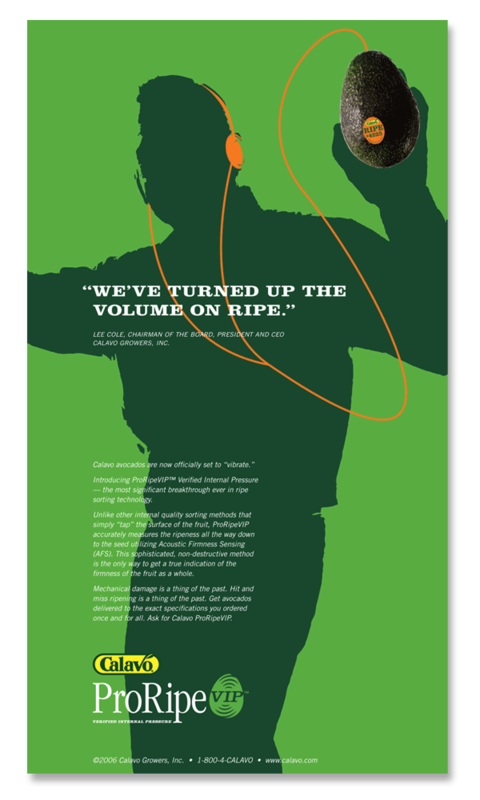 It went on to win the Marketing Excellence Campaign of the Year award from Produce Business Magazine. Most importantly, buyers started asking for ProRipeVIP avocados by name.